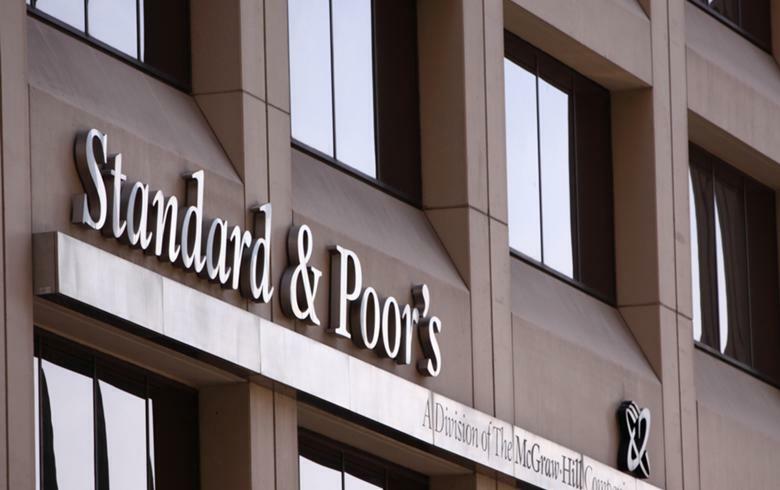 TIRANA (Albania), February 4 (SeeNews) – Standard & Poor's said it has affirmed its long- and short-term sovereign credit ratings on Albania at B+/B, with a stable outlook. “We expect Albania's real GDP will expand by nearly 4% on average through 2022,” Standard & Poor's said in a statement late on Friday. “While we anticipate ongoing commitment to fiscal consolidation and a resulting gradual reduction of the still-high public debt-to-GDP ratio, public-private partnership (PPP) projects continue to pose a significant fiscal risk,” Standard and Poor's noted. The rating agency also said the weak headline credit growth and high euroization highlight key challenges for the monetary policy of the Bank of Albania. The stable outlook reflects our view that Albania's economy will expand by just under 4% over the next years; fiscal deficits will remain limited; and gradually narrowing current account deficits will predominantly be covered by solid foreign direct investment (FDI) inflows over the next three to four years. A period of sustainable economic growth, improvements in the business environment, FDI inflows, and a reduction in the size of the informal economy could lead to a positive rating action over the next two years. We would consider taking a positive rating action if fiscal consolidation strengthened beyond our base case leading to a more pronounced downward trajectory for public debt, or lower interest costs relative to government revenues. In turn, we might take a negative rating action if we observed material fiscal slippages, potentially resulting from higher fiscal deficits or materialization of contingent liabilities from PPP projects. We could also lower the rating if we assessed that the monetary policy transmission mechanisms of the Bank of Albania (BoA, the central bank) had weakened, for example due to a more prolonged period of repressed credit growth. The ratings are constrained by Albania's relatively weak institutional framework; modest income levels; its large net external liability position, resulting from persistent current account deficits; still relatively high general government debt burden, significant parts of which are either denominated in foreign currency or short term in nature; and limited monetary policy flexibility, owing to extensive euroization and high informality. EU accession remains a political priority of the current administration and will provide a policy anchor for the government as it aims to fulfill requirements for EU membership. The administration has already made efforts to enhance the rule of law and combat the informal economy. Last year's Sofia declaration determined that EU accession negotiations for Albania will likely start in 2019. However, given strong sentiments in specific EU countries against further geographic expansion of the EU, we think that Albania's accession is unlikely before 2025. More specifically, the strong EU membership aspirations also spurred the government to pass the judicial reform last year, which aims to create a more independent judiciary. The reform has the potential to sustainably improve the country's business environment, for example, by increasing the effectiveness of property rights enforcement. The vetting body was established last year and will progress with its assessments. Currently, more than half of the judges evaluated have been dismissed from their judiciary duty, and we view this as a strong indication that these key reform efforts will be sustainable, even though comprehensive reform and restructuring of the judicial system will require more time. Further structural reforms are necessary to strengthen Albania's still-weak institutional framework, in our view. In general, the country has a considerable shadow economy, with prevalent corruption and constrained effectiveness of the rule of law. We project that Albania's formal economy will expand by an average of 3.7% in real terms between 2019 and 2022, albeit still from a relatively low level of development. A number of large-scale investment projects have raised economic growth rates in recent years, and will likely be completed in 2019. This includes the Trans-Adriatic Pipeline (TAP), which will connect Albania with Italy and the Caspian Sea, as well as the construction of a hydropower plant. The completion of these projects will result in higher production capacity of the energy sector. In addition, the tourism sector posted very solid growth rates over the past two years, and we see clear development potential in this area. We consider that strong domestic demand, with rising consumption, will be a primary growth engine over the next years, also aided by rising employment levels. We expect Albania's fiscal performance will remain relatively strong over our forecast horizon through 2022. The country has outperformed its budget and our previous expectations in the past year, and we note that Albania fiscally outperforms its Western Balkan peers in the same rating category. This is a result of the healthy growth outlook and the government's adherence to the debt brake law. We forecast general government deficits to average 2% of GDP annually over 2019-2022. Revenue growth should remain solid on the back of strong economic performance and coordinated tax mobilization efforts. That said, the shadow economy continues to weigh on public revenues, and sustainable improvement on revenue intake will hinge on continuous improvements to tax administration and compliance. In this respect, the implementation of a new property tax this year could be instrumental. The administration has shown stricter cost control than in previous years, but specific downside risks remain. The government is actively pursuing several PPP infrastructure projects with local construction companies. While we acknowledge high infrastructure needs for the country, the risk framework governing these projects is currently not yet sufficiently developed and many of these proposals remain unsolicited tenders. Annual expenditures for PPP projects currently stand at an estimated 2%-5% of government revenues, but the full amount of potential financial risks for the administration is impossible to evaluate. Nevertheless, we expect that stronger overall fiscal consolidation will lead the government's net debt stock to decline to about 60% of GDP by the end of 2022. The authorities are actively pursuing efforts to increase debt sustainability, which is currently challenged by refinancing and foreign exchange risks. The average maturity of debt, while increasing over the past years, is still relatively short at 2.25 years. This is particularly the case for domestically issued debt, about half of which needs to be refinanced annually. About one-half of Albanian government debt is denominated in foreign currency and unhedged, bearing the risks of marked exchange rate fluctuations. Additionally, Albania's banking sector still holds the largest share of domestic debt, around one-quarter of banks' total assets. While we see no borrowing constraints for the public sector in the domestic market, the government will likely also continue to look for opportunities to fund itself abroad at longer maturities, especially given the successful placement of a Eurobond last year at rather favorable terms. We expect that the aforementioned risks will further abate as the government's debt burden declines. In contrast to government statistics, we include in the country's debt burden our assessment of unresolved arrears, currently estimated at 1.5% of GDP. Although we expect the government will be the only significant sector to issue external debt, Albania's external vulnerabilities, reflecting large external financing needs and an increasing stock of external liabilities, remain high. We have revised down our estimate of the country's current account deficits; we now expect that they will decline to 6.3% of GDP by 2022 from currently above 7.0%. These deficits also relate to large-scale, import-intensive investment projects, which are mostly foreign funded; the most important ones will likely conclude in 2019. At the same time, the current account was supported by buoyant receipts from the tourism sector and strong remittance inflows (some 6%-7% of GDP annually) from Albanians employed in the EU, namely in Italy and Greece. We expect net FDI inflows will remain Albania's main external financing source for current account deficits, particularly via large-scale investment projects. For example, the TAP project, totaling €1.5 billion (11% of GDP in 2018), has been executed over the past two years and will likely be finalized by 2019. We observe continued consolidation in the financial sector as subsidiaries of Greek banks are withdrawing from the market. Veneto Bank's subsidiary will be acquired by fellow Italian bank Intesa Sanpaolo's subsidiary and Societe Generale Albania will be acquired by Hungarian banking group OTP. We do not consider these developments indicative of a broader trend of foreign banks leaving the market, since exiting banks represent only a minor share of the financial sector and more sizable foreign banks show no indication of significant disinvestments. At the same time, banks have reduced the share of nonperforming loans (NPLs) on their balance sheet to below 12%, largely due to write-offs. Despite still-high disparities between financial institutions, this represents a pronounced decrease from the 25% peak in September 2014. This has not caused financial stress due to banks' sufficient provisioning and generally high liquidity. With a reported average tier-1 ratio of 16%-17% for the banking system, overall capitalization remains well above minimum requirements. The deposit-funded financial sector has strengthened its position as a net external creditor. The steady rise of the financial sector's net foreign assets--partly reflecting high liquidity--illustrates Albania's limited lending opportunities and banks' low risk appetite in recent years. Even when considering the impact of NPL write-offs on overall credit growth figures of the economy, new credit growth remains subdued. We expect growth of domestic credit will trail nominal GDP growth over our forecast horizon. Shallow capital markets and extensive euroization of the financial system further impair the effectiveness of Albania's monetary policy, as is the case for several economies across the region. BoA's de-euroization strategy has resulted in a decrease of euro-denominated credits, but deposits in foreign currencies will likely remain above 50% of total deposits through 2021 based on high euro inflows. Loans in foreign currencies have been decreasing in recent years, and we expect that they will remain below 50% of total loans in the coming years, given the BoA's strong policy focus on containing foreign-currency lending and a relatively large stock of euro-denominated NPLs. We still consider the BoA's exchange rate regime more stable than peers' in the same rating category. The Albanian lek remains a generally free-floating currency, and we expect exchange rate interventions by the central bank will remain intermittent and limited. The BoA has generally remained tolerant to the continuous upward pressure on the lek relative to the euro for the past several years, but decided to actively intervene in the market as a response to turbulences in the foreign exchange market in the second quarter of last year. However, this did not break the generally appreciating trend of the lek relative to the euro last year. The central bank's policy rate now stands at a historically low 1%. Despite its very accommodative monetary policy, BoA's track record of meeting its inflation targets remains relatively limited over the past years. In the absence of stronger-than-anticipated lek depreciation, we project inflation will likely remain closer to 2% in the foreseeable future and not reach the 3% target rate before 2023."